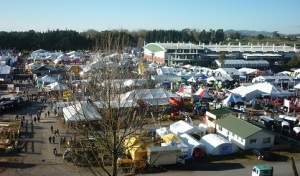 The SolarKing team had a massive Fieldays this year, with over 100 clients enquiring about making the move to solar power. Our stand was busy from the beginning to end of the show, and it’s great to see interest in solar power from both rural and residential clients. Solar power makes sense on farms, homes and buildings with our solar solutions delivering a strong return on investment. If you’re thinking about solar and would like free advice and no obligation quotes, SolarKing are here to help with all your Solar needs. Simply give the friendly SolarKing team a call on 0508 765 2769, or Contact Us and we’d be delighted to discuss your Solar requirements. View our latest Solar Offers here. SolarKing – 2015 predictions; the year we wake up?